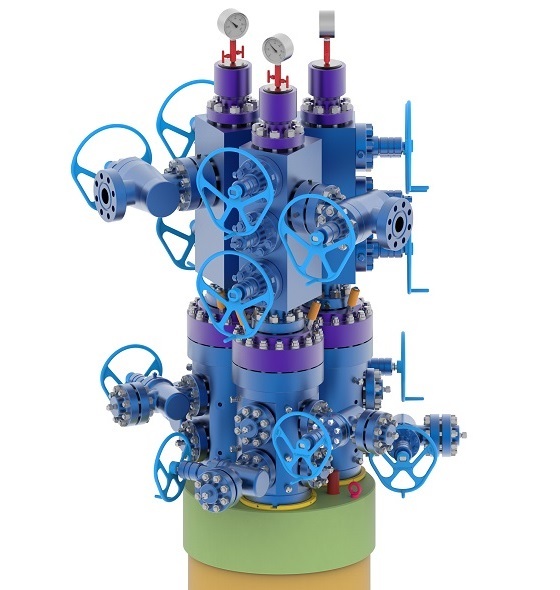 The Modular Wellhead™ System (MW-I) is a multi-stage system that caters for different casing programs and working pressure. With option of being two or three stages, MW-I comes in nominal sizes ranging from 10″ to 18-3/4″ and working pressure from 3,000 psi to 15,000 psi. 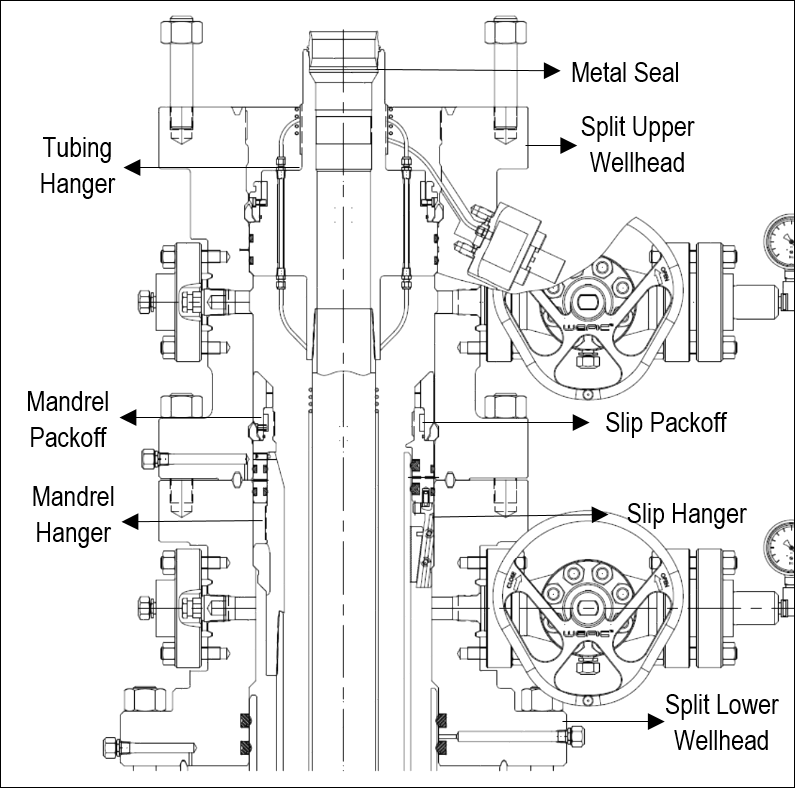 The Modular Wellhead™ System is easy to operate, safe and efficient. 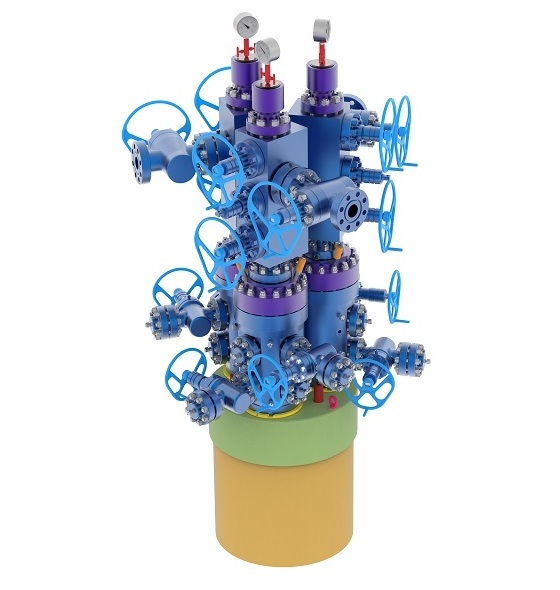 It is designed to conform to API6A and can be used both onshore and offshore, even under severe operating condition. 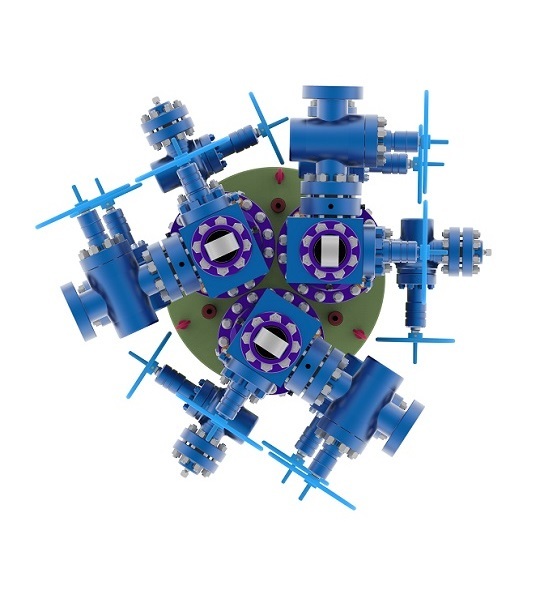 The Multipartite Modular Wellhead™ System (MMW-I) is designed for double or triple wellhead configuration, which can be used in the process of drilling, completion and production. MMW-I system can save up to 20% in cost of an individual well. On top of this, the system can reduce the size of the platform and increase the efficiency of producing oil. 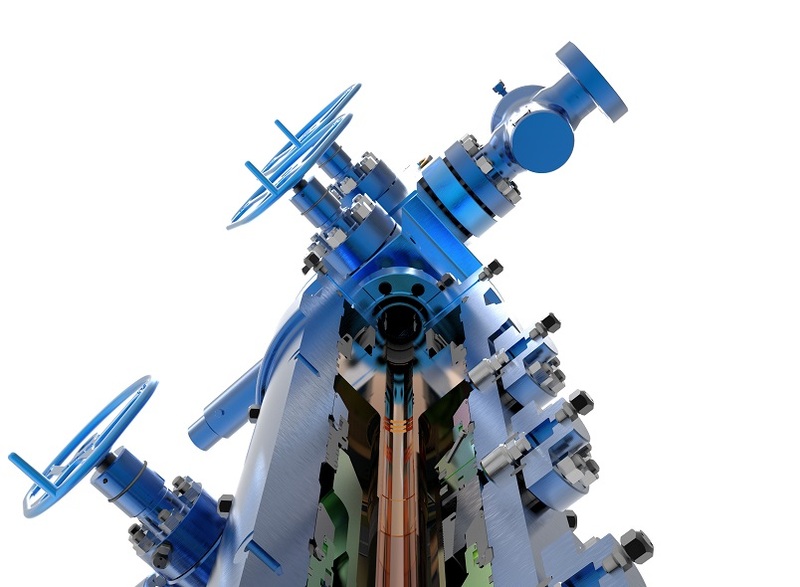 The Modular Wellhead (MW-I) Split System is a premium series of WEFIC® product range. 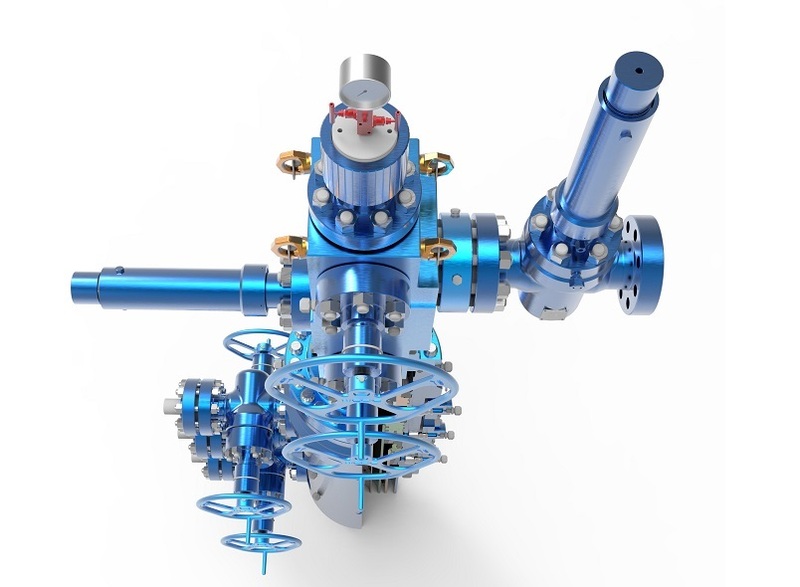 Our Wellhead system is designed and manufactured to the latest edition of API 6A. We ensure all equipment goes through stringent and professional quality control and documentation to meet customer’s specifications. An example below is used to explain this system. 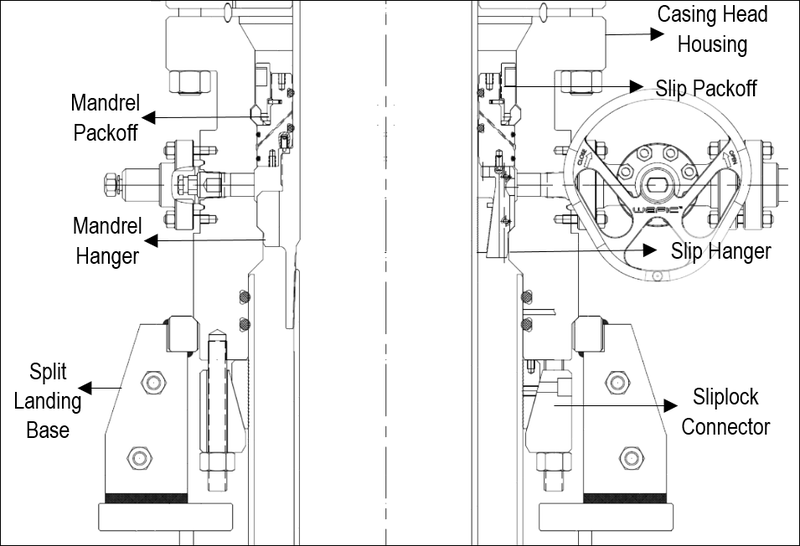 The 13-5/8″ NOM MW-I split (2-Stage) system features a double load shoulder design dedicated to the landing of the 9-5/8″ casing hanger and 4-1/2″ tubing hanger, in the lower split MW and upper split MW wellhead respectively. 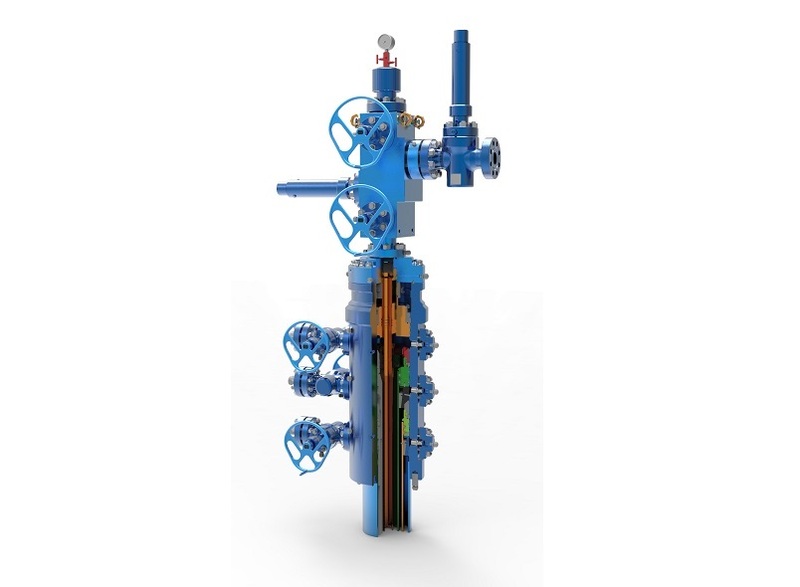 The advantage of the split wellhead design, gives the option to remove upper wellhead assembly to facilitate the installation of emergency slip hanger, in the event the 9-5/8″ casing becomes stuck. The Casing Head Housing proposed is type ‘MW-I’ 18-3/4″ Nom system. It utilises the same internal lockdown concept as the split MW-I system and is designed for both mandrel and emergency slip casing hanger for 13-3/8″ casing. Due to the low pressure requirement, O-rings are safety used for cost effectiveness. Bottom energised 20″ casing sliplock design at the bottom of the Housing serves to fully occupy the space in the split landing base, spacing space and material cost. 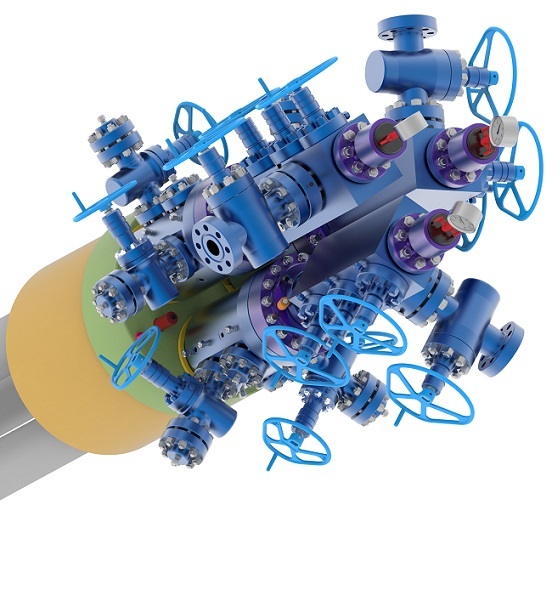 together as a single wellhead, thus requiring only one single BOP installation. internal locking mechanism instead of lockscrews. the proposed system to save time and simplified the process of installation. direct pressure test from the annulus test port.